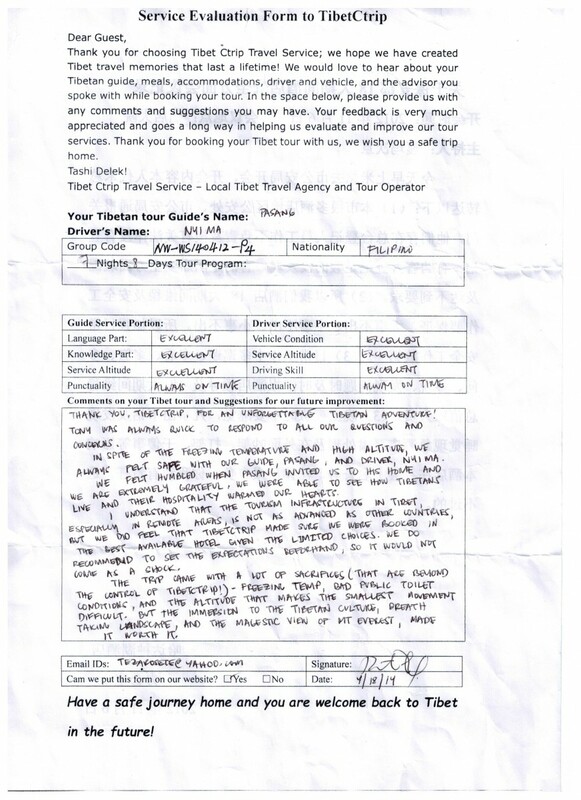 bet Tour Review 20140412 P4- Tibet Tour Review from our clients. April12 Day01 arrive at Lhasa airport by flight from Chengdu, to be picked up and transfer to downtown Lhasa, rest for altitude in Lhasa [with altitude of 3650m] o/n in Dhood Gu Hotel. Note, on today afternoon we would drive to visit Sera Monastery for the interesting Buddhism study activities because on Sunday (April13, there is no activity of the monk’s debate). April18 Day07 Rongphu Monastery-Old Tingri [4390m]-Zhangmu around 8 pm; this morning we may be able to have the sunrise photos of the Mt. 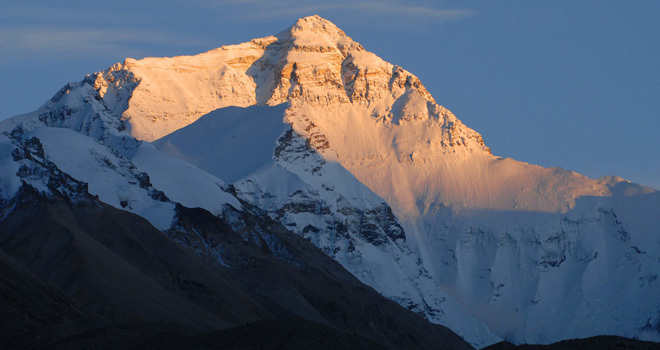 Everest peak. After enough leisure time, we will leave Everest Base camp and drive to Tibet border. Have a good rest in Zhangmu; enjoy the small town culture in the Tibet Border, O/n in Zhangmu hotel or similar one if late booking. April19 Day08 leave Tibet for Kodari-Kathmandu, Nepal [1400m] 123km, to be picked up and transfer to Kathmandu (tour ends when you get to Kathmandu), hotel by yourself.